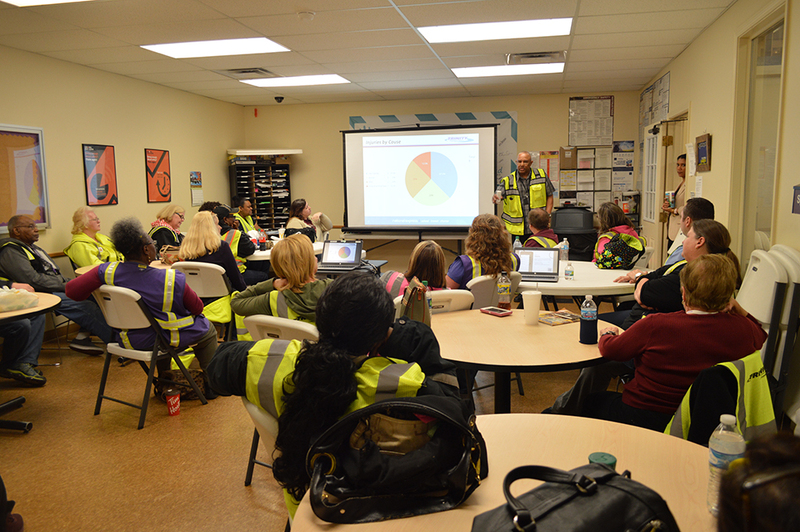 Our company’s safety performance key performance indicators (KPIs) were reviewed, first overall then by terminal. 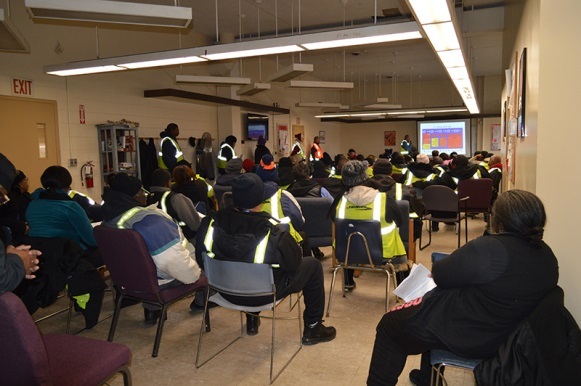 The GMs went over their terminal’s performance feedback from the different programs we use to track performance and discussed where they are at in relation to their goals. 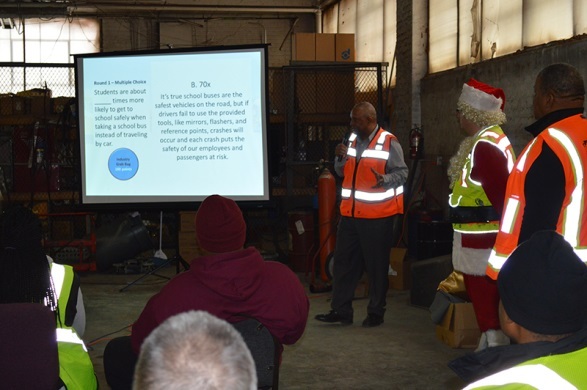 The general managers did an awesome job conducting the safety meetings this month. 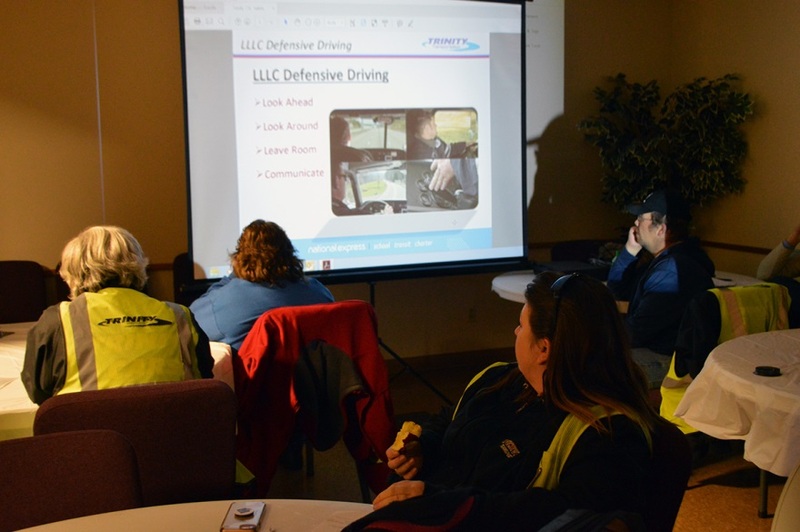 Our employees reviewed and learned important information they will take with them every time they’re on the road! 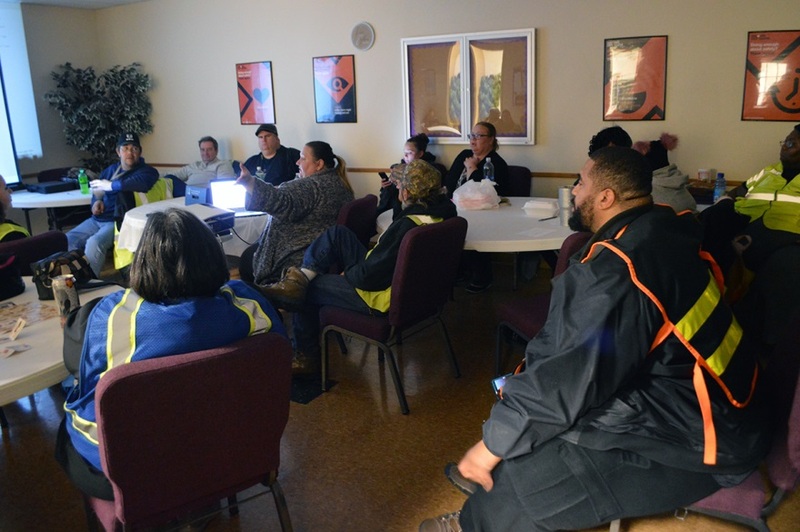 September’s safety meetings took place the week of September 24th and provided important information for our drivers and aides. 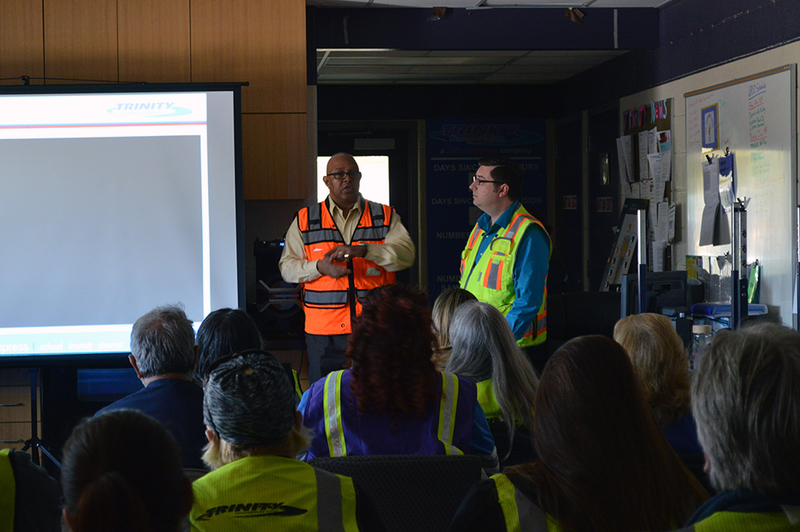 The meetings were led by Chief Operating Officer Dave Holls and began with local updates from each terminal’s general manager. 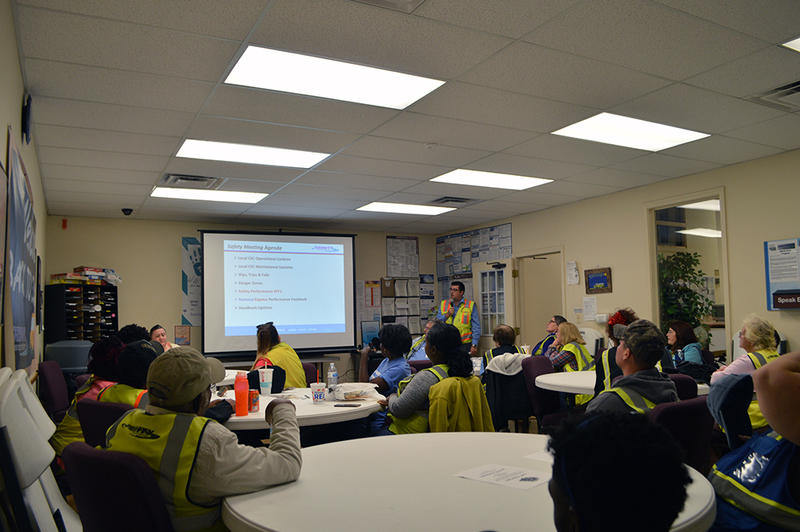 After the local terminal updates, Dave delved into the topic of slips and falls. 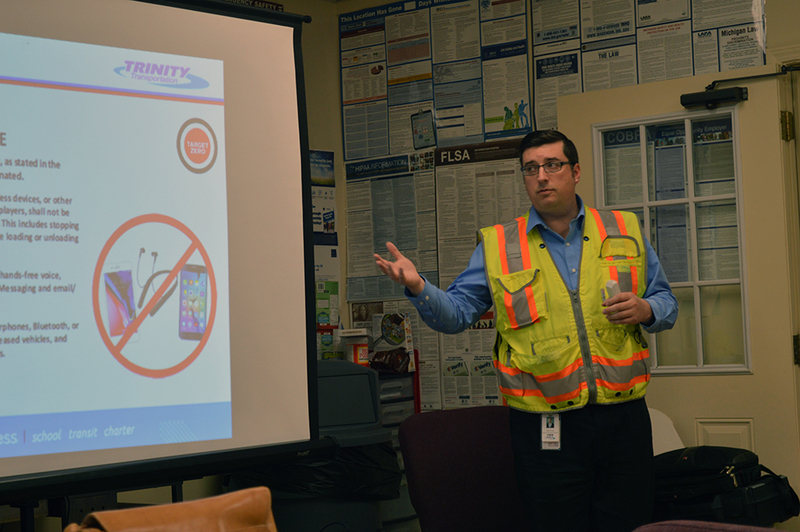 Slip, trip, and fall hazards can occur in virtually every type of workplace. 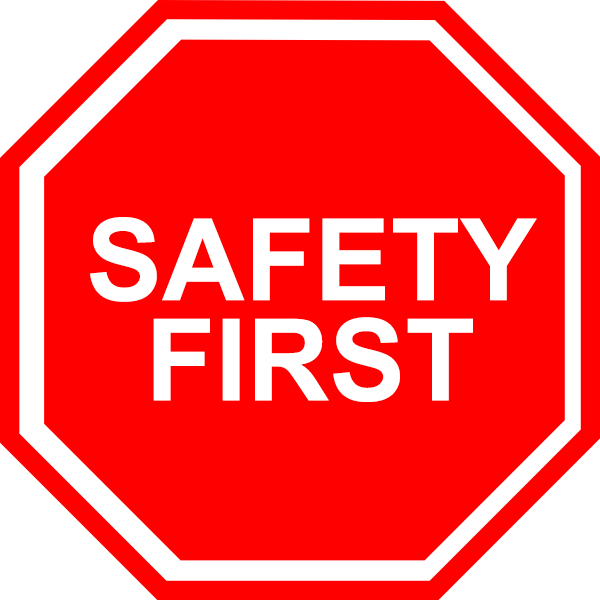 Injuries that can occur due to these hazards are sprains, strains, bruises and contusions, fractures, abrasions, and cuts. 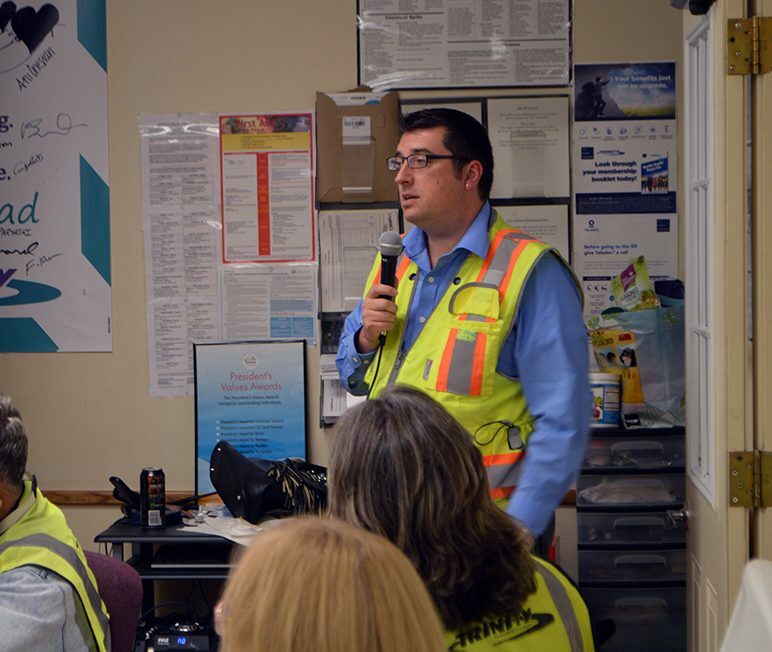 According to the U.S. Department of Labor, slips, trips, and falls make up the majority of all work-related injuries. 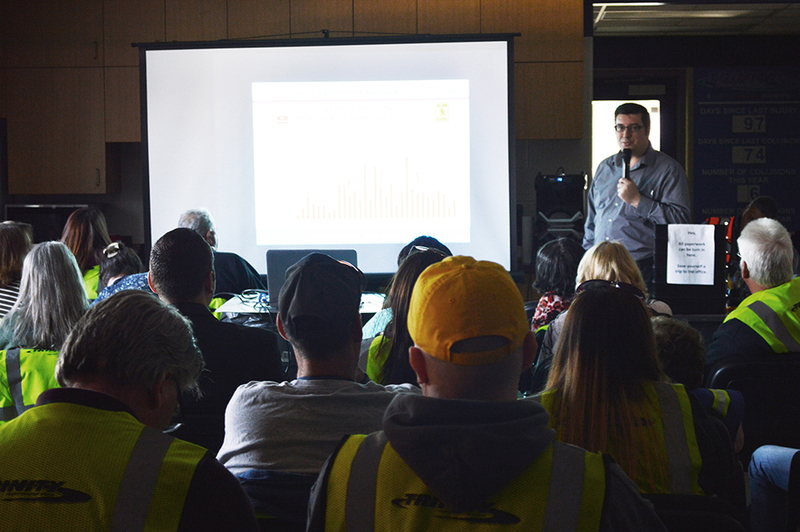 There are 95,000,000 lost work days per year due to these incidents and they account for 15% of accidental deaths and 25% of all reported injury claims. 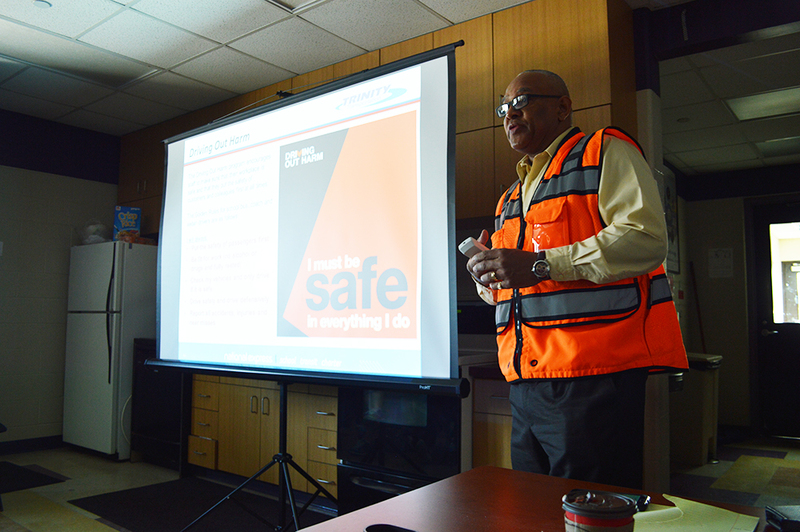 Slips, trips, and falls, can be avoided by taking extra caution, being aware of your surroundings, and fixing anything you see that is a hazard. It is also important to walk defensively and wear proper shoes. 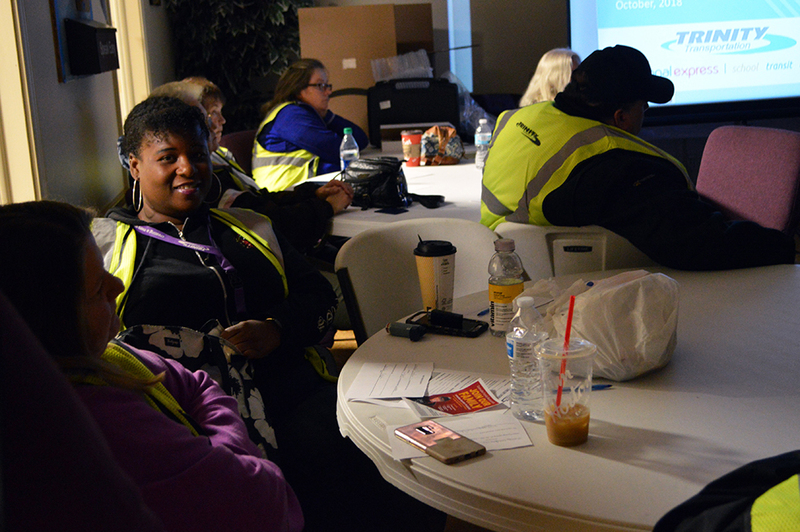 The next topic discussed was danger zones of the school bus. 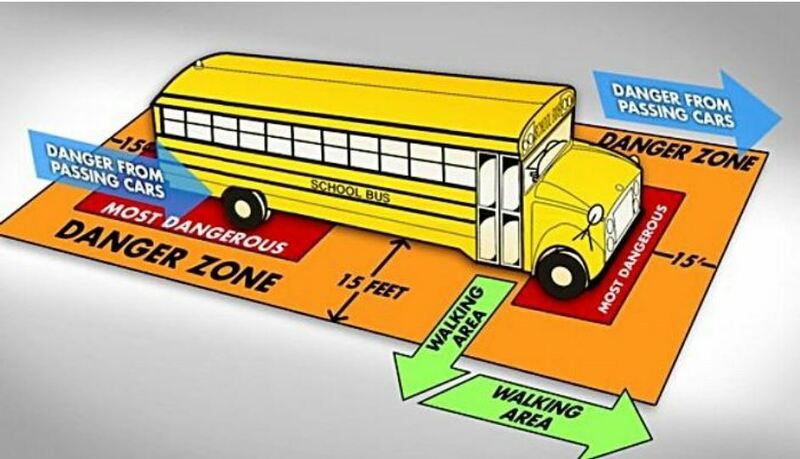 The entire perimeter around the school bus is a danger zone, with the most dangerous zones being the left and right sides of the rear and the area in front of the nose of the bus. This is why it’s imperative that our drivers teach students the proper way to behave in and around the bus. The best way to exit the bus is to walk out 15 feet from the door to a sidewalk, then turn in the direction you need to go. 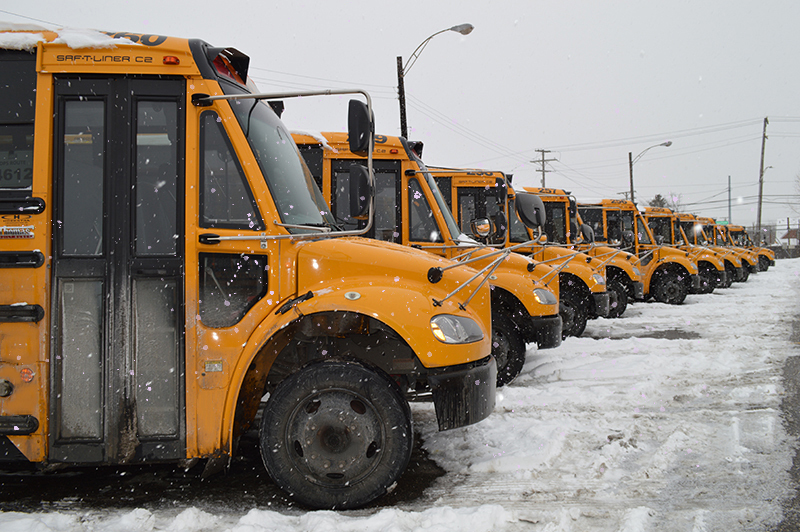 If something falls/drops in front or around the bus, students are to tell the bus driver before picking it up. 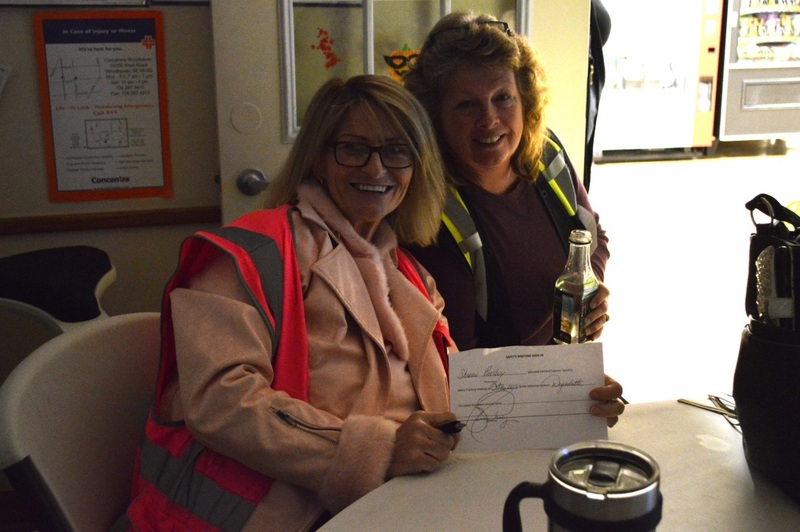 Our bus drivers are taught to be extra aware and to always check their mirrors and surroundings, and to do head counts every time students enter and exit the bus. 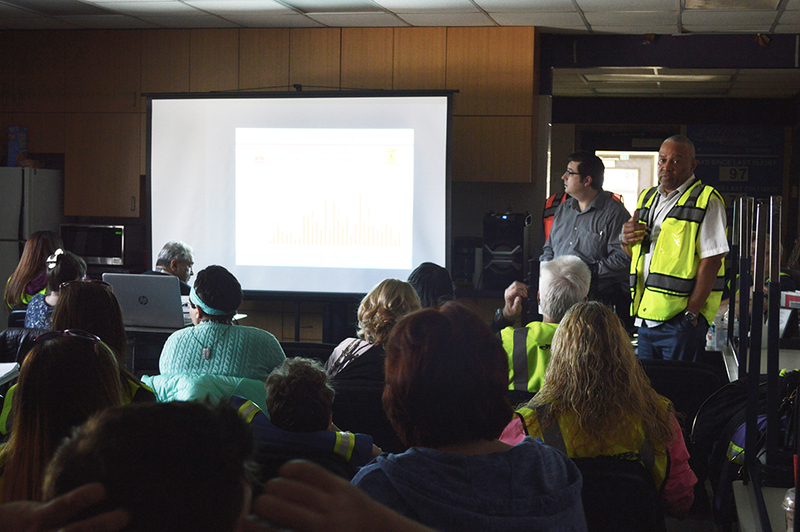 The meeting ended with safety key performance indicators, performance feedback, and employee handbook updates. 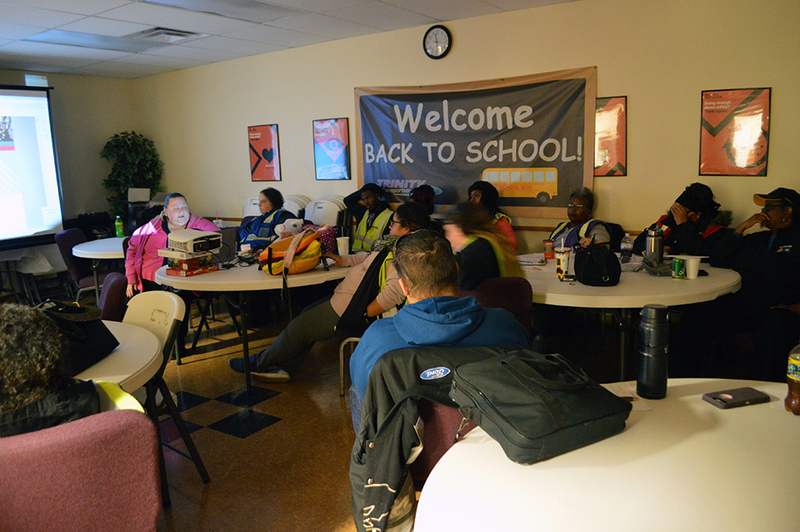 With the start of the school year under way, we are ready to make this our best year yet!